Walking: One of the easiest but most important exercises you can do is walking. Simply walking around the house for thirty minutes can provide many health benefits. This is also an important first step before attempting more difficult exercises. Walking will allow you to prepare and build up your body, so that difficult workouts will not leave you exhausted, drained, and sore afterwards. We can also assist you through our exceptional companionship care in Florida. Chair Exercises: Another great exercise you can do in the comfort of home is chair exercises. There are many different types of chair exercises you could do such as ankle rotations and knee lifts. These are great for keeping your blood flowing and maintaining various aspects of your body while you are doing other activities, like watching TV or even reading a book. Jogging: If you have the space or a treadmill, jogging is a great exercise to do in the comfort of home. This is more difficult than walking but it will provide much better results and benefits. By jogging thirty minutes a day for five days a week, you will experience better moods, you will feel more energized, your mind will be more alert, and your immune system will also be improved. This is an effective way for maintaining your youth and through our non-medical home care in Winter Haven, FL, we can help you in every step of the way. Those are just a few effective exercises that you can do at home at an advanced age. If you are interested in learning more about these exercises or how our home care services can help you out, please feel free to get in touch with Compassion Home Care anytime. 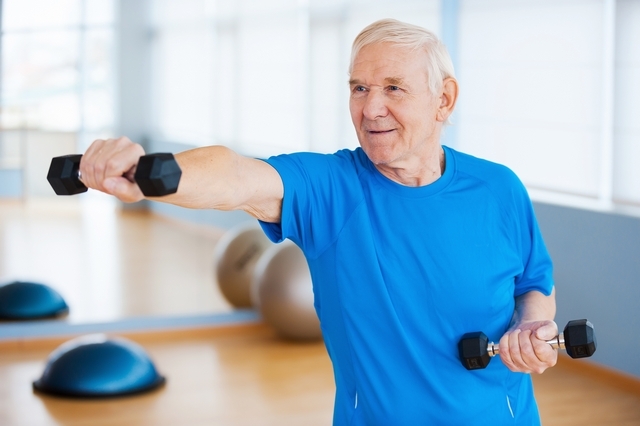 This entry was posted in Senior Health Care and tagged Caregivers, Chair Exercises, Companionship, Home Care Services, Home Companion, Jogging, Non-Medical Home Care, Personal Care, Senior Exercises, Walking. Bookmark the permalink.